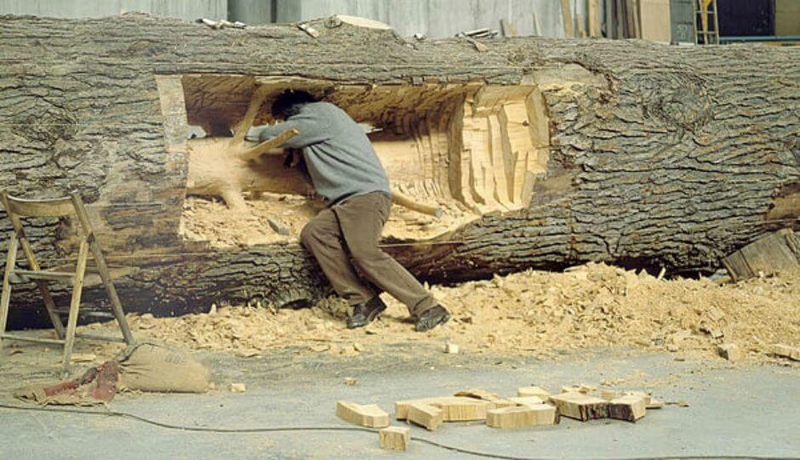 Italian artist Giuseppe Penone is renown for his art that incorporates nature and humanity, and his 2012 exhibition, The Hidden Life Within, excavates a massive tree’s early form. The Hidden Life Within was originally shown off at the Art Gallery of Ontario. To come up with the piece, he took a massive tree trunk and carved it away, ring by ring, to show off the tree’s earliest self. The result is remarkable, showing off where the larger tree came from, and how it changed with years of growth. You can see some more images from The Hidden Life Within over at The Modern Met.